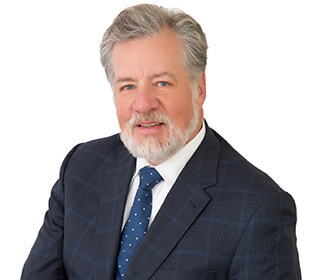 Mike McBride focuses his practice on litigation, arbitration, mediation, and negotiations involving transportation, energy, and environmental issues, as well as nuclear regulatory matters. Twice a former President of the Association of Transportation Law Professionals (ATLP), Editor-in-Chief of ATLP’s Journal of Law, Logistics and Policy, past Program Committee Chairman of the Transportation Law Institute, and Program Committee Chairman of ATLP’s annual Transportation Forum held at the Surface Transportation Board, Mike represents various rail shippers and other entities in transportation-related litigation and regulatory matters before the Surface Transportation Board, as well as in negotiation of and dispute resolution involving transportation contracts. Mike also maintains a substantial environmental practice, including counseling on nuclear regulatory issues, and has also participated in the licensing of several nuclear reactors. In addition, he has experience litigating civil and criminal cases under the National Environmental Policy Act, the "Superfund" statute, the Resource Conservation and Recovery Act, and the Clean Air Act. In energy and environmental matters, his clients have included electric utilities (both in nuclear and non-nuclear capacities), the American Petroleum Institute, Edison Electric Institute, National Petrochemical & Refiners Association, the Alliance of Automobile Manufacturers, Gas Processors Association, Global Automakers, Inc., the National Marine Manufacturers Association, Nuclear Energy Institute, the Outdoor Power Equipment Institute, a paper company, a chemical recycling company, and individuals. Advised the Bipartisan Policy Center on its Nuclear Waste Initiative. Served as outside counsel to the Blue Ribbon Commission on America’s Nuclear Future, an advisory committee to the Secretary of Energy. Served as lead counsel to petroleum industry associations in their challenge to EPA's renewable oxygenate standard for Reformulated Gasoline (RFG), and with respect to other RFG issues. Represented most of the control room operators and supervisors at Three Mile Island-Unit 2, from 1980-88, before the US Congress, the Nuclear Regulatory Commission, and the courts. Represented the nuclear industry in Silkwood v. Kerr-McGee Corporation. Represented Viacom Inc. (now CBS Corporation) in nuclear decommissioning disputes in arbitration and before the Nuclear Regulatory Commission. Represented Trunkline LNG Company in litigation involving the importation and sale of liquefied natural gas. Represented Louisiana Energy Services in defending its license for a new uranium enrichment facility. Speaker, "Cultivating a Legacy of Leadership"